PC Gaming is taking a turn for the worst. PC Gaming is changing. And not in good ways. This has been a recurring theme from doomsayers and large developers alike for, oh, 10 years. Spurred on by false alarms and an increasing number of consoles in people’s homes, there have been some who have been absolutely convinced that ‘PC Gaming is Dying!’ And, we can see that as the PC gaming market has thrived over the past few years, and showing no signs of letting up. However, it has come to the attention of many that the naysayers may finally be right. Please don’t view this article as an opportunity to bash Infinity Ward, folks. Yes, any devout PC gamer will have heard about the Modern Warfare 2 fiasco in the last few weeks. However, this is not an isolated incident. Other major developers have seen that it is cheaper and easier for them if they focus on the masses; console owners. Because of the perceived ’cheapness’ of consoles versus a gaming computer, it is very difficult to find nowadays a true PC gamer with a computer that can run the latest games in the kind of high-fidelity that they warrant. 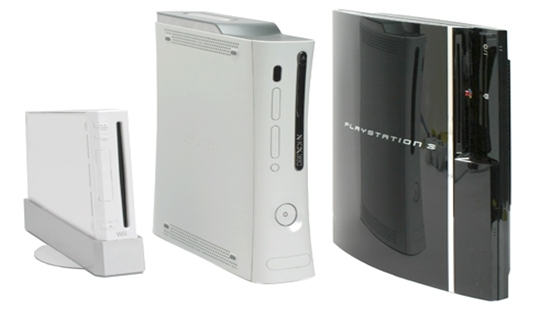 Nowadays, if you talk about gaming with most people, they will go on about how great their 360 or PS3 is. The PC is shunned almost every time. Because, ladies and gentlemen, there is less money in PC gaming than console gaming! Are consoles the only way forward? A sad fact, yes, but most definitely true. Why should developers waste extra time making a game for PC that will sell less, for a lower price and be pirated when they can invest the same amount of money in a 360 game that will sell millions, for less work? PC games require mod support, dedicated servers and both off-the-shelf hard copies and downloads. The reason console players don’t mind paying extra for less in a game is frankly because they have never known any better. Dedicated servers, mod support, LAN games? Alien words to any console owner. It really comes as no surprise that the big dev’s are trying to get away from all of this. And can we really blame them? If I had the opportunity to make more money and have fewer problems with my work, I would certainly do that. At least their are still some dedicated PC developers. Additionally, more money is being pushed into multiplayer online games. Just look at the most recent games in the CoD series. For $60, you get a 5 hour campaign, and multiplayer. Admittedly, both the SP and MP were of a very high standard, but what happens when you phase out the features that set PC gaming aside from the consoles? All you get a glorified console; a PC. Of course, it’s not all bad. We still have Valve, who have created (and are still creating) some of the best PC games ever. And Blizzard. And BioWare. But how long will they stay as loyal PC developers? Only time will tell. Other than them, there are also many small Eastern European developers who are dedicated to the PC. But again, how long will they keep at it? Well, whether you agree with this article or not is up to you, but as for me, I’m off to play some Diablo. At least that’s guaranteed quality.